Explanation: What would it be like to fly free in space? 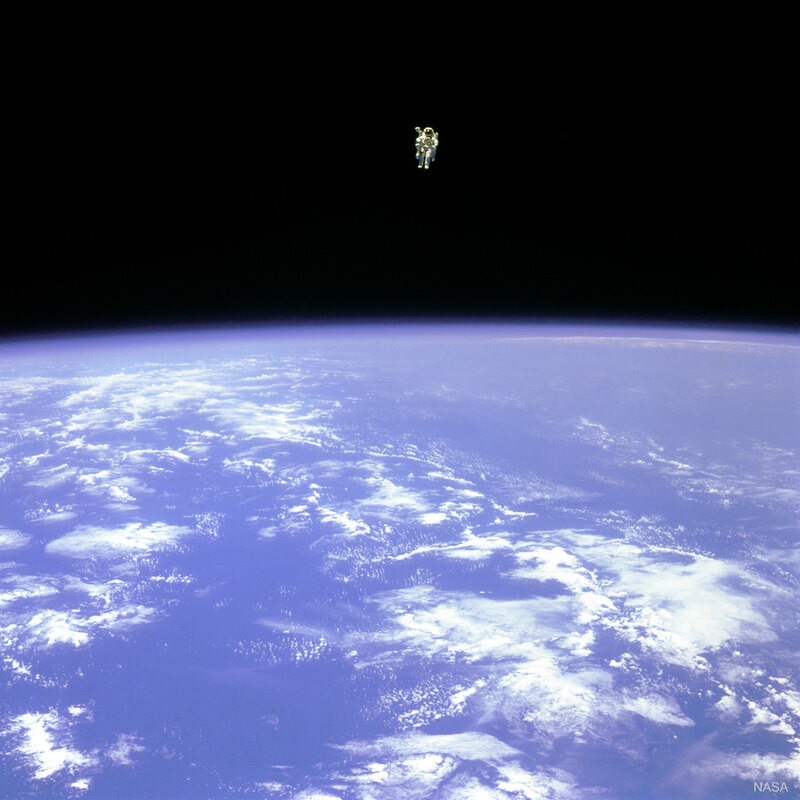 At about 100 meters from the cargo bay of the space shuttle Challenger, Bruce McCandless II was living the dream -- floating farther out than anyone had ever been before. Guided by a Manned Maneuvering Unit (MMU), astronaut McCandless, pictured, was floating free in space. 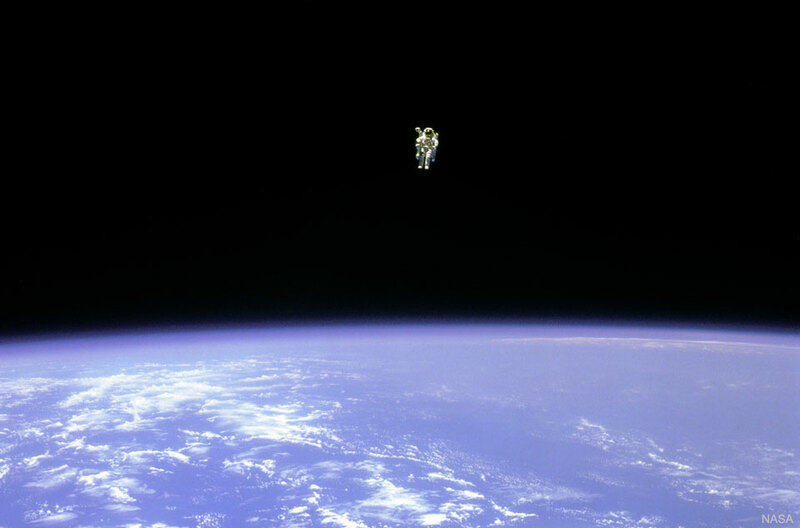 McCandless and fellow NASA astronaut Robert Stewart were the first to experience such an "untethered space walk" during Space Shuttle mission 41-B in 1984. The MMU worked by shooting jets of nitrogen and was used to help deploy and retrieve satellites. With a mass over 140 kilograms, an MMU is heavy on Earth, but, like everything, is weightless when drifting in orbit. The MMU was replaced with the SAFER backpack propulsion unit.